Since they were left vacant in 1995, the row of five historic brick houses on 48th Street, between Hatfield and Butler Streets, in Lawrenceville have fallen into terrible shape. 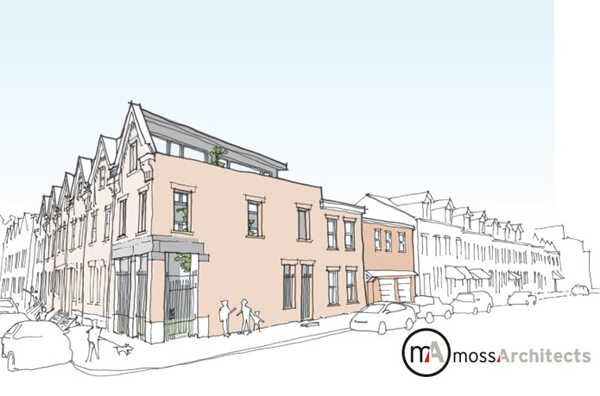 With creative design and green construction, the homes are being restored to look the way they would have when they were built in the 19th century, but with customized modern interiors. The City of Pittsburgh acquired the buildings, with the help of the Lawrenceville Corporation, in 2007 at very low cost using a tax lien process. After receiving proposals from many eager developers, the Lawrenceville Corporation closed on the sale last week with Botero Development, who’s principal Brian Mendelssohn lives in the neighborhood. “They’re going to be a high quality product. We’re going to restore the exteriors using real materials, meaning real stone and real slate, and install stone steps and things like that to make them look like when they were built,” says Mendelssohn, who is working with Moss Architects on the project. The interiors will be custom-built for the aesthetic whims of the individual buyers, blending historic elements and original materials with modern features, such as stainless steel appliances, and energy efficient design aspects, like a 2-inch white rubber roof. The homes, which are currently for sale, include four 1900-square-foot, 3-bedroom units with rear yards. 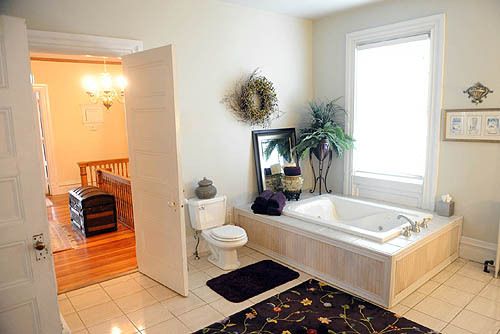 Two come with 2.5-baths and the other two have 2-baths. One 1,250-square-foot unit has 2-bedrooms and 2-baths. The houses will be completed by next October and are priced between $180,000 and $265,000. A sixth building was beyond repair, but its lot will serve as a private courtyard for the $265,000 unit. Oakmont is probably best known for its luxurious country club, home to a famously difficult golf course that’s hosted more combined USGA and PGA championships than any other course in America. But its roots actually were planted in industry; early employers along the Allegheny River included Allegheny Valley Railroad, Woodings-Verona Tool Works and Agnew & Co., one of the most prolific glass companies in Pittsburgh at the turn of the 20th century. 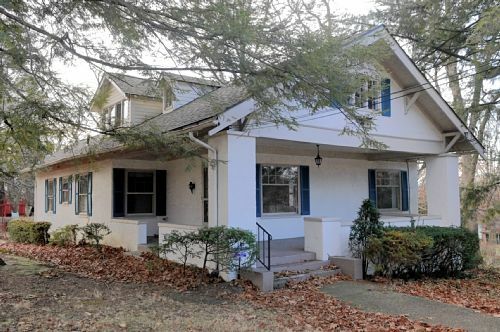 Along with the elegant (and uber-expensive) homes that sprang up on Hulton Road about the same time as the club, the borough is blessed with a variety of more modest turn-of-the-century homes. Pretty as a picture is a 11/2-story Craftsman bungalow at 710 California Ave. (MLS No. 842126), constructed 11 years after Oakmont incorporated as a borough in 1889. 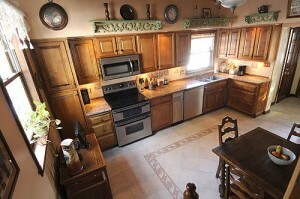 It is being offered by Howard Hanna Real Estate’s Shadyside office for $249,900 (www.howardhanna.com; 412-361-4000). The Arts and Crafts Movement flourished in England in the mid 1800s. Yet the style — marked by architectural simplicity and natural materials — didn’t catch on in the U.S. until decades later, in the early 1900s. After the fussy opulence of the Victorian era, American homeowners welcomed uncomplicated designs that were easy to envision, build and maintain. Architect/furniture designer Gustav Stickley’s “The Craftsman” magazine, first published in 1901, proved so popular that the 200-plus house plans he designed for its pages eventually were published in two books. Situated on a double corner lot within easy walking distance of the shops and restaurants on Allegheny River Boulevard, this house features the style’s characteristic low-pitched, gabled roof and covered front porch. 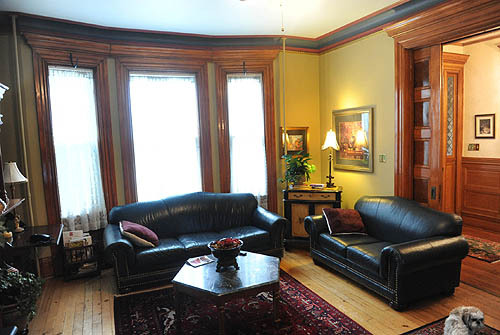 Inside, the rooms are large, with minimal ornamentation, high ceilings and lots of windows. Some could some updating. First-floor bedrooms might seem like a Baby Boomer invention, but they actually were fairly common in Craftsman bungalows. This 2,500-square-foot house has two on the main level, including a 13-by-13-foot master, plus two more upstairs. 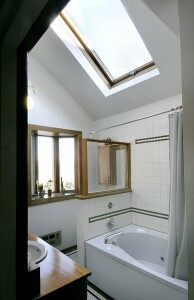 Something else that will appeal to modern sensibilities: There’s a full bath on both floors. 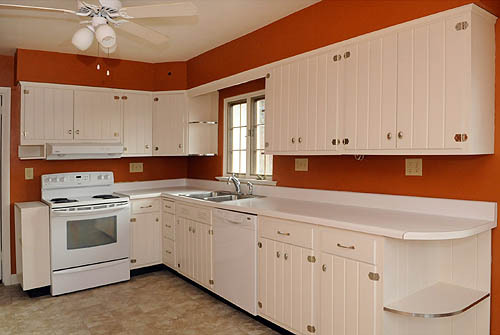 The updated, eat-in kitchen measures 15 by 10 feet and is brightened by white wood cabinets and white appliances. It opens onto a 15-by-14-foot formal dining room, which adjoins a 20-by-14-foot living room with built-in bookcases and a working fireplace. 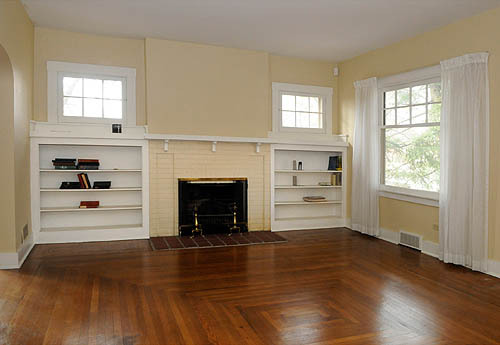 Hardwood floors run throughout the first floor; out back is a one-car detached garage. The large yard and quiet, tree-lined street make it a perfect starter house for a young family, says listing agent Justin Cummings. 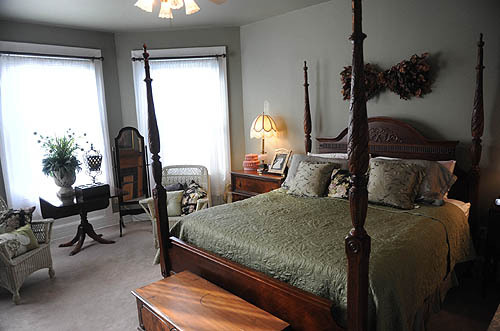 With most of the living space on the first level, it also should appeal to older couples who are downsizing but still need bedrooms for grandchildren and other visitors. In the past three years, eight homes have changed hands on California Avenue, ranging in price from $167,500 in May 2007 to $285,000 in July 2008 (www.realstats.net). There will be an open house from 1 to 4 p.m. today. For more information, contact Justin Cummings of Howard Hanna’s Shadyside office at 412-361-4000 or www.howardhanna.com. At one corner of Brownsville Road and The Boulevard in Carrick sits state Rep. Harry Readshaw’s funeral home. Across The Boulevard, a late-19th-century Queen Anne house is the last of the grand Victorians remaining on the main drag. 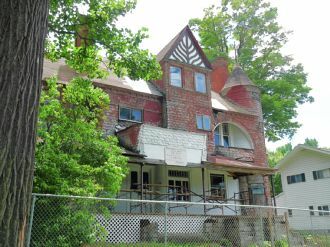 Mr. Readshaw’s interest has spurred the Carrick-Overbrook Historical Society to try to save the house. Historical society member John Rudiak documented the property and this week nominated it for historical designation. He said demolition of the house would put an end to any evidence of Carrick’s Victorian heritage. The nomination would stall any plan to demolish the house until the Historic Review Commission could determine whether it is eligible, based on a set of federal criteria. Eligibility ultimately must be decided by Pittsburgh City Council. Historic status regulates changes to a building’s exterior but not to its interior. Richard C. Gasior, whose wife’s family has owned the four-bedroom home since 1952, said the family needs to sell it and has been advised that $150,000 would be a fair price. “If I can’t get anybody to buy it, I’m going to go with Readshaw,” he said. 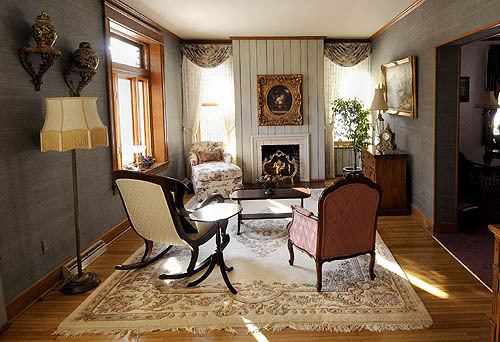 The current owners gave a tour to members of the Carrick-Overbrook Historical Society several weeks ago, said Julia Tomasic, a founding member of the society. 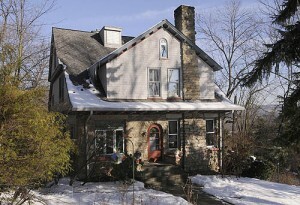 According to the Pittsburgh code for historic preservation, a property must meet at least one of 10 criteria to be eligible for preservation. The nomination papers cite several possible eligibilities. One is that the home, a classic American Queen Anne, has not been modified. Its features include an asymmetrical facade, front-facing gable, overhanging eaves, polygonal tower, shaped and Dutch gables, a porch covering part or all of the front facade, a second-story porch or balconies, pedimented porches, dentils, spindles, differing wall textures including fish scales, and oriel and bay windows. 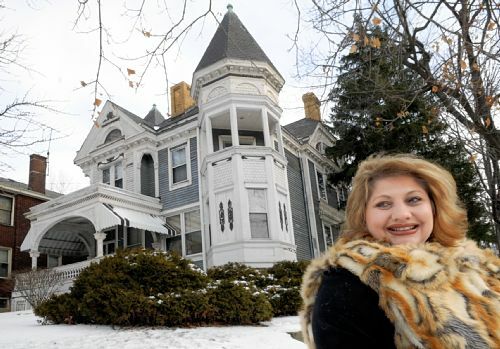 Brownsville Road once had several grand Victorian homes owned by prominent businessmen. As a hilltop neighborhood, Carrick was a refuge from the smoky city. Through much of the 20th century, it was solidly middle class and owner-occupied. It remains so, but some of its stability is eroding. *Open Letters is a place where the letters to the editor published by the Post-Gazette are offered up for broader comment and discussion. 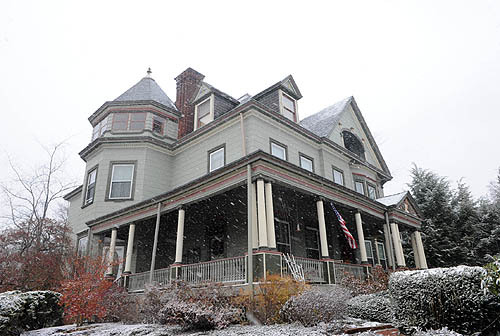 The late 19th-century Queen Anne Victorian house on Brownsville Road in Carrick (“Some in Carrick Strive to Save Victorian House,” Dec. 24) is a gem that must be preserved. The Carrick-Overbrook Historical Society has done a yeoman’s job by documenting the property known as the Wigman House and nominating it for historical designation. One hopes that other area historical societies and individual philanthropists will join together to assure its salvation. While I was growing up on Madeline Street in Carrick, dozens of comparable homes in the area reflected the personalities of the moguls who built them on high ground in order to contemplate the night sky burned red by the glow of steel mills blazing far below. My family’s physician, Dr. Askins, was able to purchase one such mansion on Brownsville Road during the Depression. The exterior, painted contrasting shades of green, emphasized the eerie atmosphere that would have captivated the Addams Family. Just as those ghosts clung to the past, so must the ghosts of the last remaining Victorian mansion in Carrick be appeased. “It takes my breath away every time I walk through the front door. It’s a warm, wonderful house,” says Sharon Hruska of her house in Bellevue. There are very few houses that can evoke that feeling, but she isn’t exaggerating. 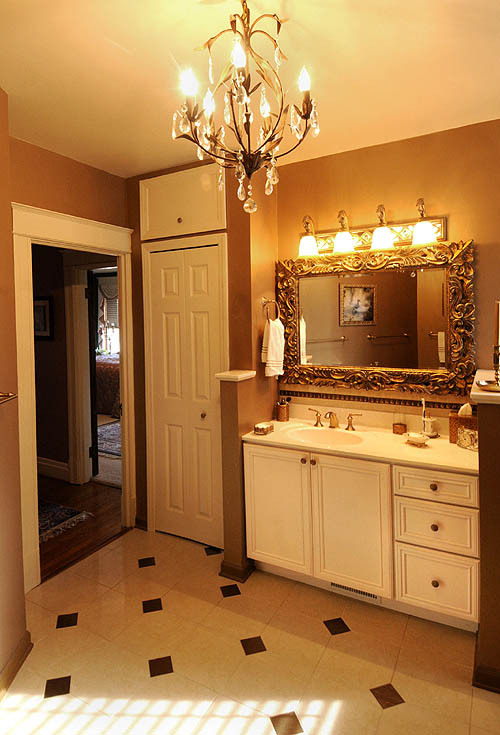 Her five-bedroom, 4 1/2-bath Queen Ann-style house at 108 Meade Ave. (MLS No. 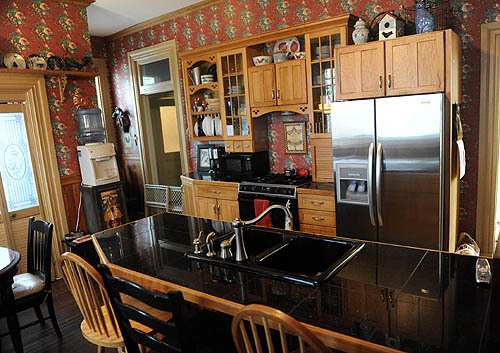 841177) is on the market for $299,000 through RE/MAX Realtors Don and Kathy Seaton (724-933-6300, ext. 664; or www.seatonteam.com). When you open the front door, you are greeted by a 30-by-8-foot entryway that features a carved staircase in gleaming oak. 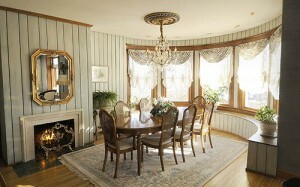 The home was built in 1898-99 by Michael Simon, who owned a lumber mill and spared no expense. When Sharon and Ken Hruska purchased it in 1993 for $40,000, its more than 5,500 square feet of living space was divided into nine apartments. The splendid foyer and all other woodwork were painted white. 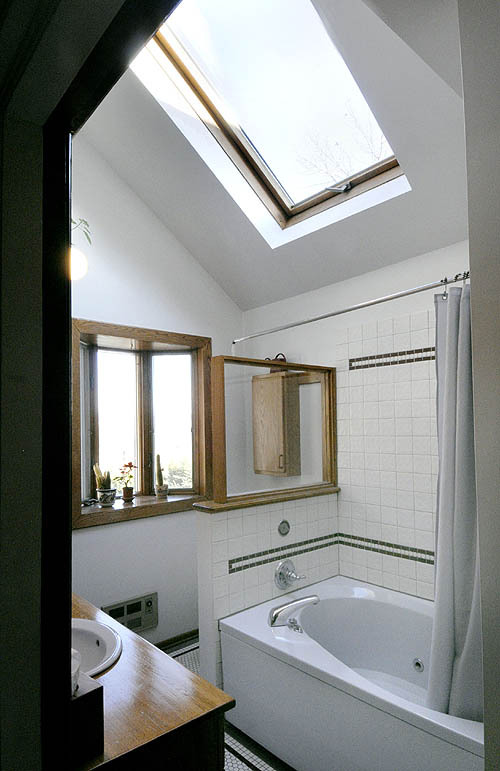 The couple spent a year restoring the home before moving in. “My husband stripped the foyer. It took him one solid year; he worked every single day,” Mrs. Hruska said. This and other labors of love are evident in every nook and cranny of this grand home. The main living level has six fireplaces and an assortment of rooms perfect for entertaining. The living room (parlor) measures 18 by 16 feet and has 9-foot ceilings, tall windows and a picture rail. 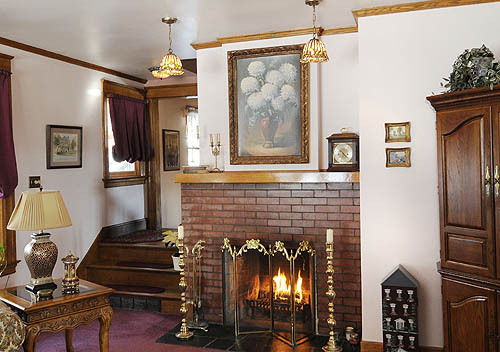 The 19-by-16-foot family room has a carved fireplace and a more masculine feel, decorated in traditional leather. The dining room (26 by 15 feet) has a pair of chandeliers and another fireplace, this one with a ceramic tile hearth offsetting the hardwood floors that cover most of the first floor. The 27-by-15-foot kitchen is a cook’s dream, with granite counters, stainless-steel appliances and an exposed-brick wall that nicely complements the modern appliances and amenities. 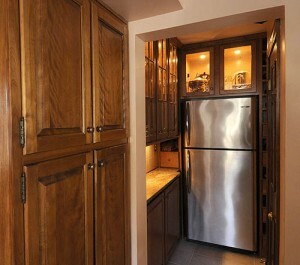 Glass-front cabinet doors flank the cooking area and accent exposed shelving. 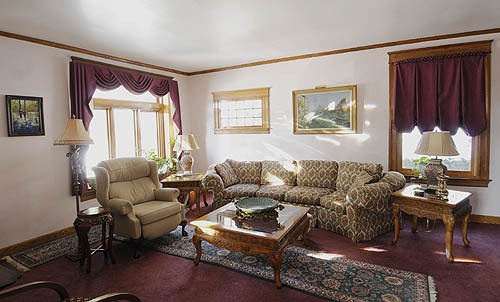 Nearby is the 18-by-16-foot den that doubles as a billiards room. 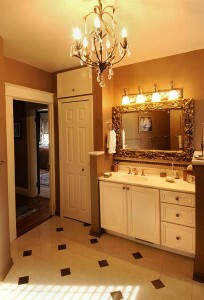 Rounding out the main level is laundry room that measures 16 by 16 and a powder room. 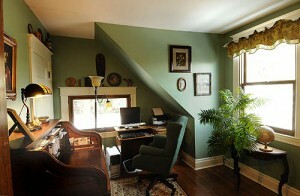 A back staircase offers access to the huge third floor that could be rented as a full apartment. The space has three bedrooms, a full kitchen, living room and full bathroom. 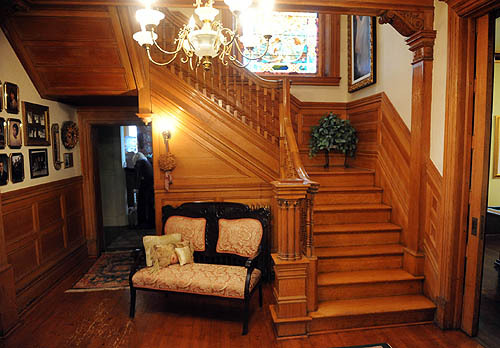 Going up the front staircase to the second floor, be sure to stop to admire the majestic stained-glass window that the homeowners were able to retrieve and put back in place years after they bought the house. 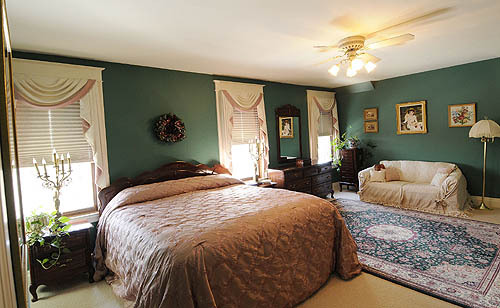 The master bedroom has a trio of windows, a full master bath suite with a jetted tub that faces a fireplace, a stand-alone shower and a pedestal sink. There are two more full bathrooms and two more bedrooms (one of which is being used as an office). 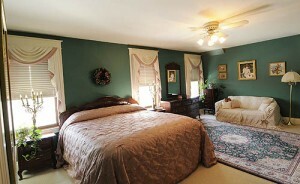 Room sizes range from 14 by 14 feet to 17 by 16 feet. The home is heated by radiator heat and cooled by room air conditioners, which stay with the home. Outside, the stunning wrap-around porch could entertain 50 people. The homeowners added a separate three-car garage to accommodate family and friends. Now planning to downsize, the Hruskas say their grandchildren don’t want them to leave this house and friendly neighborhood, where many young families have moved recently. The house is open by appointment. The property has a full market value of $155,000 (www2.county.allegheny.pa.us/RealEstate). In the past three years, four properties have sold on Meade Avenue ranging in price from $48,900 in April 2010 to $113,000 in June 2008 (www.realstats.net). A little bit of history: Like many northern suburbs, Bellevue originally was part of the Depreciation Lands reserved for Revolutionary War veterans. It has the distinction of being incorporated in 1876 only after Frankie East was born. Frankie’s birth gave the town a population of 300, the necessary prerequisite for residents to file a petition for incorporation with the Allegheny County Court of Quarter Sessions. *Includes the Act 50 Homestead Exclusion, which reduces assessed market value by $15,000 for county taxes.